Aroon, M., Beheshti, H., Barzin, J., Shariaty-Niassar, M. (2018). Purified and Functionalized MWCNTs: Application In CO2/CH4 Separation Using Mixed Matrix Membranes. 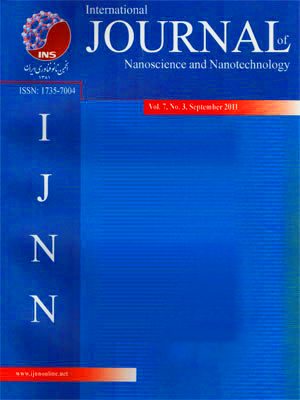 International Journal of Nanoscience and Nanotechnology, 14(4), 251-266. M. A. Aroon; H. Beheshti; J. Barzin; M. Shariaty-Niassar. "Purified and Functionalized MWCNTs: Application In CO2/CH4 Separation Using Mixed Matrix Membranes". International Journal of Nanoscience and Nanotechnology, 14, 4, 2018, 251-266. Aroon, M., Beheshti, H., Barzin, J., Shariaty-Niassar, M. (2018). 'Purified and Functionalized MWCNTs: Application In CO2/CH4 Separation Using Mixed Matrix Membranes', International Journal of Nanoscience and Nanotechnology, 14(4), pp. 251-266. Aroon, M., Beheshti, H., Barzin, J., Shariaty-Niassar, M. Purified and Functionalized MWCNTs: Application In CO2/CH4 Separation Using Mixed Matrix Membranes. International Journal of Nanoscience and Nanotechnology, 2018; 14(4): 251-266. 1School of Chemical Engineering, College of Engineering, University of Tehran, Tehran, Iran. 2Membrane Research Laboratory, Caspian Faculty of Engineering, College of Engineering, University of Tehran, Tehran, Iran. 3Biomaterial Department, Iran Polymer and Petrochemical Institute, Tehran, Iran. To fabricate a defect free and high performance mixed matrix membrane (MMM), one approach is the functionalization of inorganic nanofillers (as dispersed phase) in the organic polymer matrix (as continuous phase) to modify the interactions between two phases. For this purpose,, raw multi-walled carbon nanotubes (rMWCNTs) were purified by acid mixture (HNO3/H2SO4; v/v = 1:3) and then the purified MWCNTs (pMWCNTs) were functionalized by low molecular weight chitosan (LMWC) and characterized by Fourier-transform infrared spectroscopy (FTIR) and X-ray diffraction (XRD) tests. Functionalized MWCNTs (fMWCNTs) were added to polyethersulfone (PES) solution, and mixed matrix membranes containing different amount of the fMWCNTs in PES matrix were fabricated by immersion precipitation technique. Neat PES and mixed matrix membranes were characterized by differential scanning calorimetry (DSC), Field emission scanning electron microscopy (FESEM) and permeation (using CO2 and CH4 as test gases) experiments. FTIR and XRD experiments confirmed attachment of LMWC on the surface of fMWCNTs. Gas permeation test results revealed that the mixed matrix membrane containing 1 wt.% fMWCNTs (PES/1wt.%fMWCNTs) has the best CO2/CH4 separation performance and this result was confirmed by DSC and FESEM results. Therefore simultaneous purification (by acid mixture) and functionalization (by LMWC) of MWCNTs can be used for fabrication of high performance mixed matrix gas separation membranes.